This is a curated list of resources for educational professionals who are interested in self employment and small business development. I would love to hear about resources that have been useful to you for possible inclusion. If you’re looking for solid information about self employment, you will enjoy a talk I gave recently to a group of TESOL teachers, which thinks through what it means to move from employment in the educational sector to self employment. I was able to access business coaching through the Small Business Development Center at my local Community College [U.S.]. 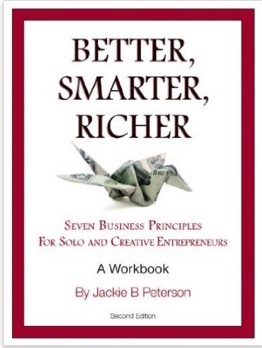 The coach I worked with, Jackie Peterson, created an incredibly useful workbook that can help you identify your viable business concepts and transform them into a living. Programs like MercyCorps Northwest, which offer small business development classes and workshops. MailChimp (free up to 2,000 subscribers).MailChimp is a basic drag-and-drop newsletter-building tool. It allows you to create, import, and manage lists (I import mine from gmail). You can schedule newsletters to go out whenever you want, which allows you to line up content in in advance. Allows you to see who opens your emails and what your overall open rate is compared to your industry average. ConvertKit (paid). This is what I am currently using. Weebly. Drag and drop, template-based web site builder. You can buy and integrate your own domain name. Free and upgrade options. Probably not as SEO friendly as WordPress, but I have opted for not having to pay a web builder / designer. Wix. Seems a bit more graphically sophisticated than Weebly, but also more complex. Free and upgrade options. WordPress.com A free website option where you do not have to pay for web hosting, but have limited access to plug-ins and other integrations. WordPress.org You pay for website hosting. YouTube Do you have useful bits of content that you could share on YouTube? You can start a YouTube channel for free and embed video into your blog or web site. Screenflow (Mac) / Camtasia (PC) These are roughly $99 screencast programs that allow you to capture anything on your computer screen and do voiceover. They have robust editing features that allow you to add cursor highlights, play with audio, add stills, etc. I often record tutorials in Screenflow, edit the sound, and then import them into iMovie. Jing / Screencastify (for Chrome) If you just need to make short videos (5-10 minutes) to share with clients or use to remind yourself how to do stuff, these are great options. You can save the video to the cloud and send yourself or someone else the link. I use these to make tutorials for clients all the time. You need a way to track all of those great connections you’re making, especially if you’re at the point of asking for their business. CRM refers to software that helps you track leads, clients, sales, and more. Streak (only for gmail users). CRM is intended for folks who are tracking sales contacts. But Streak has some great options even if you aren’t using it for that. Allows you to schedule outgoing emails and to see who has opened your emails. A little big-brother-ish, but incredibly useful. If you’re going to run your own business, you’re going to need mad skills and since Ph.D.s are essentially professional learners, you’re fully capable of learning a bunch of stuff you never thought you’d need to know. YouTube. You can learn an astonishing number of things on YouTube. Lynda.com. High-quality video-based instruction on a wide range of technical and soft skills. Monthly subscription that you can “pause” when you’re not using it. Create and sell courses: Udemy, Thinkific, Teachable, etc. Each of these have different cost structures. Twitter. Twitter seems to be the social media platform of choice for academics, despite the fact that it’s losing market share in the real world. The attraction of scholars to Twitter may be that it’s highly coded and fairly esoteric. Limited to 140 characters, Twitter is kind of like the haiku of social media. Twitter has a learning curve and it takes a while to build a following, but in my experience, Twitter is an amazing way to get to know who is out there and connect with potential colleagues and customers. I have built valuable relationships on Twitter that have resulted in paid work. Buffer (free and upgrade options). Lets you preschedule tweets. Tweetdeck (free and upgrade options). Lets you see different hashtag streams and schedule tweets. Hootsuite (paid). Lets you see different hashtag streams and schedule tweets. Allows you to schedule bulk tweets for heavy users. Facebook. You can create a separate business page, but Facebeook makes it very difficult to attract followers without paying. Still, it is good to follow other related services or communities, repost their context, and add your own to the mix. Occasionally my content gets picked up and amplified by another site and ends up getting many more hits than my own “likers”could generate. LinkedIn. LinkedIn is primarily designed for those who are seeking conventional jobs rather than those seeking to sell their own services, but it is worth having a LinkedIn account. I use LinkedIn for lead generation. LinkedIn groups can be a great place to be visible and connect with people who need your services. See the Transitions Column by Jennifer Polk in the University Affairs blog for more great narratives by Ph.D.s finding alternative careers.